China today assured India that it “will not be an obstacle” to India’s aspirations for permanent membership of the United Nations Security Council. However, on an issue of urgent importance — Beijing’s support for the Indo-US nuclear deal at Nuclear Suppliers’ Group — the top Chinese leadership kept its cards close to its chest. 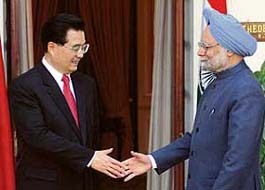 Chinese President Hu Jintao shakes hands with Prime Minister Manmohan Singh before their official meeting at Hyderabad House in New Delhi on Tuesday. Ensuring comprehensive development of bilateral relations. Strengthening institutional linkages and dialogue mechanisms. Consolidating commercial and economic exchanges. 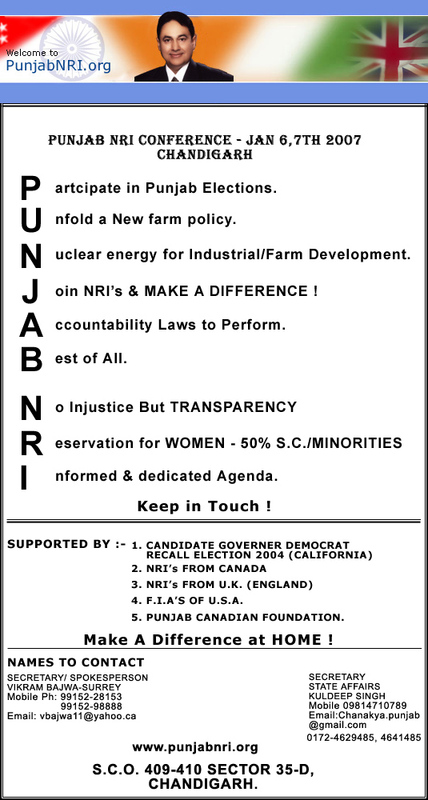 Expanding all-round mutually beneficial cooperation. One of the important highlights under this section is that the two sides will set up an expert-level mechanism to discuss interaction and cooperation on the provision of flood season hydrological data, emergency management and other issues regarding trans-border rivers. Instilling mutual trust and confidence through defence cooperation. Seeking early settlement of outstanding issues. Promoting trans-border connectivity and cooperation. Boosting cooperation in science and technology. Revitalising cultural ties and nurturing people-to-people exchanges. Expanding cooperation on regional and international stage. With less than three months to go for the 12th Punjab Vidhan Sabha to complete its term, 37 members of the ruling Congress Legislature Party, allegedly holding “offices of profit”, have received show-cause notices from the Election Commission of India. The government of the United Arab Emirates have begun a major crackdown on the Dawood Ibrahim gang by rounding up several of its members in a major clean-up operation. Ten members of Dawood Ibrahim's gang, deported from the UAE to Mumbai, are taken into police custody on Tuesday. A majestic unbeaten 196 from Captain Brian Lara put West Indies in complete control of the second cricket Test against Pakistan today. With this century, he has equalled the Gavaskar’s record of 34 Test centuries. Two undertrial criminal brothers made a daring escape from police custody at Latala village after chopping off a hand of a policeman and stabbing another. For eight long years, Satnam Singh was on anti-retroviral treatment hoping that this would check a certain count in his blood from falling further. Satnam Singh tries to live a normal life after he was cleared of his HIV-positive status.